REGINALD CANGE SPEAKS ABOUT RICHIE'S UPCOMING BAND. ZENGLEN. FASIL + MORE + SCOOPS ON RICHIE. DISIP. TVICE. ZENGLEN + MORE! *REGINALD CANGE MAKES IT CLEAR THIS IS WHAT HE WOULD PREFER! *REGINALD CANGE ON RICHIE'S UPCOMING BAND & ZENGLEN! *"THIS IS MY PERCENTAGE OF ME STAYING WITH FASIL" SAYS REGINALD CANGE (READ)! 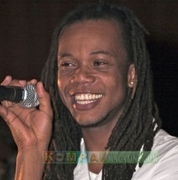 *FASIL NEW YORK CITY MOVE RUMOR...REGINALD CANGE LETS US KNOW THE DEAL! *JESSIE ON WHEN T-VICE PLAN TO RESUME THEIR HMI ACTIVITIES! *ZENGLEN GETS THIS CLEAR MESSAGE FROM PEDRO LUCKY! *AL BAGUIDY TELLS KM IF HE IS STILL WITH ZENGLEN OR NOT! *DISIP IS WRONG IN JIMMY DANGER'S CASE SAYS ORLANDO PROMOTER! *PATRICK FABRE ON DISIP CONGAS VACANCY IN THE GROUP! *RICHIE ON THE DJUMAY & MANNO TUFFET RUMORS! *RICK ROSS FORT LAUDERDALE GUARANTEE FROM PEDRO LUCKY!